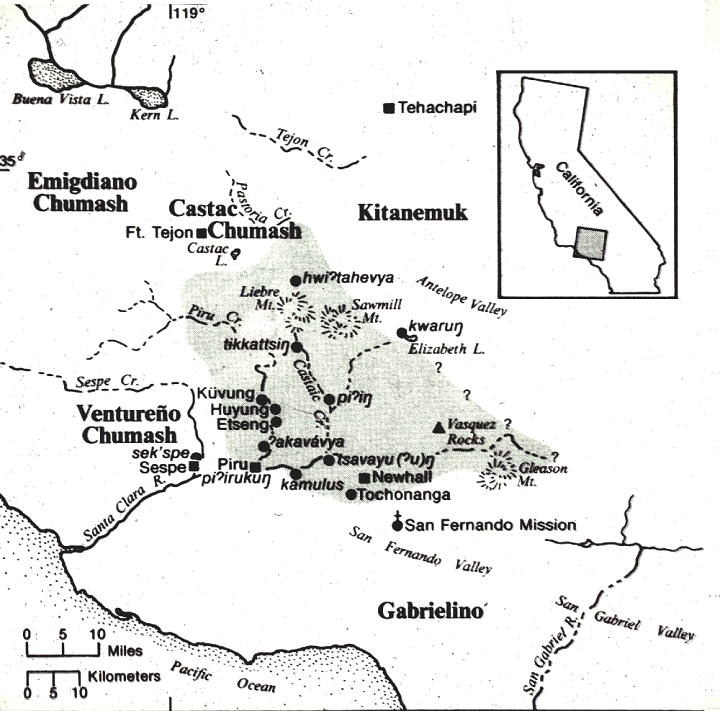 Known and presumed locations of Tataviam Indian villages in the Santa Clarita Valley and vicinity. Few sites have been confirmed through archaeological evidence (for instance, some of the major villages such as Tochananga and Chaguayabit [here, Tsavayu] have not been discovered). However, village names and locations are given in the records of Mission San Fernando.